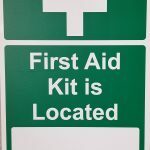 Fitness Club registration/member service desk signage. This special exempt sign measures 10 x 14. It is required in NJ at health club, posted on a sign at least eight inches by 10 inches in size at the member service desk. A health club that is a specially exempt facility shall post a sign not less than three feet by four feet in size. The notice shall also be posted on a sign at least eight inches by 10 inches in size at the member service desk of the health club. No lifeguard on duty. 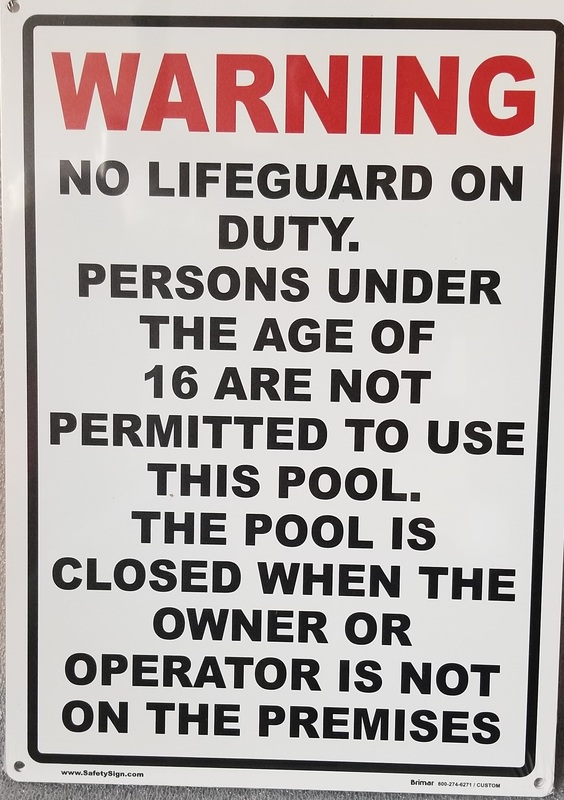 Persons under the age of 16 are not permitted to use this pool. 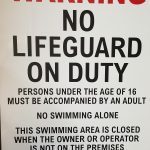 The pool is closed when the owner or operator is not on the premises.